Fionn is an amazing little 7 year old boy from Kildorrery, Co. Cork. Fionn loves dinosaurs,power rangers, robots, his favourite colour is orange and his favourite song is Proud Mary. He is a fantastic son and a brilliant little brother. He is just like any other little boy in Ireland who wants to play with his friends and be normal. Unfortunately when Fionn was just 18months old, in 2013, he was diagnosed with Leukemia. For more than 3 years he received treatment. In July 2016,he finished and he was finally starting to live like any other 5 year old boy, and started school. In December 2016,he relapsed. Fionns treatment of steroids and chemo started again after just only a 6 month break. In June 2017, Fionn was lucky enough to receive a bone marrow transplant which took. 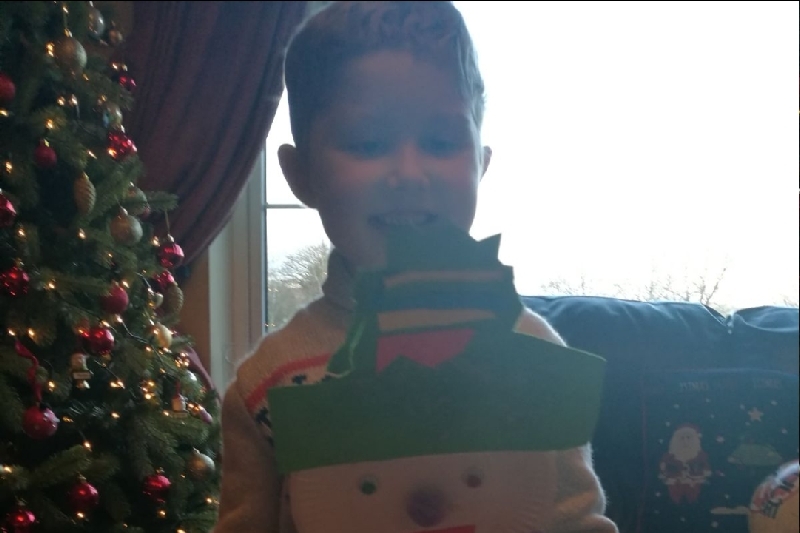 Fionn was beginning to get better, and preparing to come back to school to join all of his friends in senior infants after a years absence. 2 weeks before Christmas 2017, Fionn became unwell again. And after a bone marrow biopsy, his family received the heartbreaking news that his leukemia was back, and extremely aggressive. 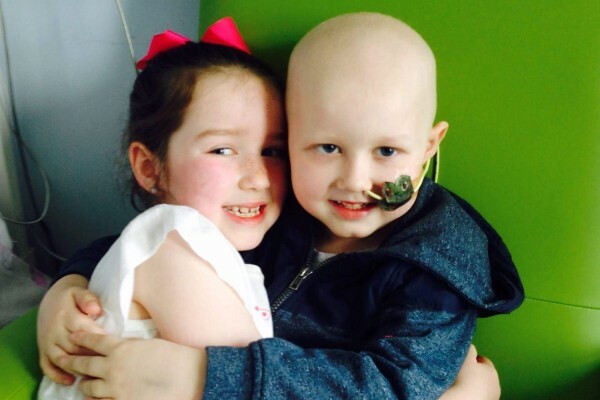 Fionn underwent chemo in hope of going into remission to go to Manchester where he would hopefully have been treated by specialists in a new trial. Unfortunately this was not to be. 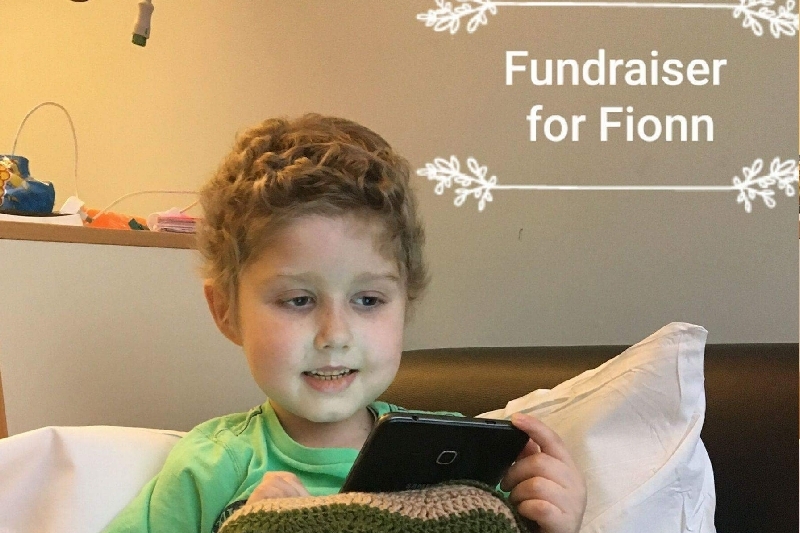 In May 2018,at the time of his older sisters First Holy Communion, Fionn's parents received the heartbreaking news that he was terminal. Fionn has spent the last 7 months fighting to create special memories with his family. In the past 5 weeks his superhero strength has deteriorated and he has begn receiving support from palative care. 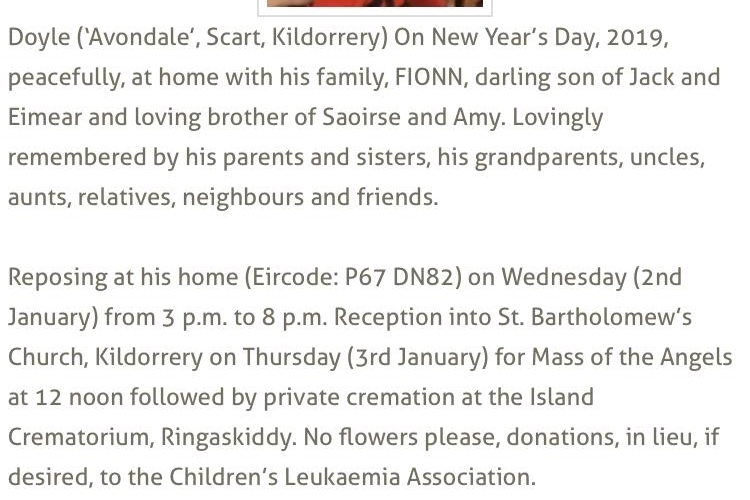 As you can imagine the effects of this on his family have been so heartbreaking emotionally. Unfortunately, as neither Fionn's parents are working due to caring for their beautiful child and wanting to spend as much time with him as possible there is a huge financial pressure also ,and as a result Fionns parents are under enormous strain with mortgage repayments etc. Please please please give what you can to support this poor boy and his amazing family who have been soldiering alongside him his whole young life.